Avatar FameStar is a new program from Microsoft Studios that delivers new and exciting ways to play online with your friends and compete for social recognition! Every Avatar FameStar game lets players earn Fame by accomplishing weekly and one time challenges, and with Fame comes rewards! Dress your Avatar with exclusive new outfits and items, and show your achievements off to your friends and competitors. Avatar FameStar puts you in the spotlight, bringing Avatar FameStar games together to reward people who play and compete. 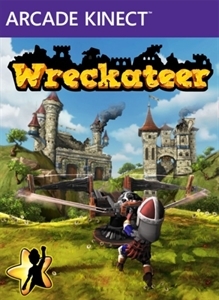 • Earn Fame in a variety of games, including Wreckateer, and updates to Full House Poker and A World of Keflings to support the new program. • As you earn Fame, unlock new avatar items and outfits, showing off your skills and achievements inside the games. 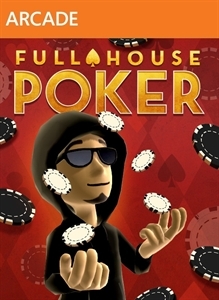 • Carry over your Fame from one game to the next – wear your FameStar outfit from Full House Poker in A World of Keflings. As new games release that support Avatar FameStar, you’ll have more ways to show off! • Future titles that will support Avatar FameStar include Avatar Motocross Madness, Fire Pro Wrestling, and Homerun Stars. Keep an eye out for these and even more exciting new games! Check out the list below for Avatar Famestar game details, screenshot galleries, and a sneak peak at a few of the avatar awards! Homerun Stars – Stay tuned for more info about this amazing title coming soon! This entry was posted on July 23, 2012 at 2:29 PM and is filed under Avatar Related News with tags A World Of Keflings, Arcade, Avatar, Avatar Awards, Avatar Famestar, Avatar Motorcross Madness, Award, Awards, Famestar, Fire Pro Wrestling, Full House Poker, Homerun Stars, Items, New Release, Wreckateer, Xbox, XBOX 360, XBOX Arcade, XBOX Avatar, XBOX Awards, XBOX Marketplace, XBOX360. You can follow any responses to this entry through the RSS 2.0 feed. You can leave a response, or trackback from your own site. Keflings is NOT working in the US. I have seen the sheep costume at the tables in FHP but they were all from the UK. Yes, we too have noticed that they have not yet updated this game to support this program. You would think they would have all this ready for older games.